It’s everybody’s favourite month of the year – where you get to enjoy the fruits of your labours, by relaxing, having fun, spending time with family and friends. The question is, what to do with your time? 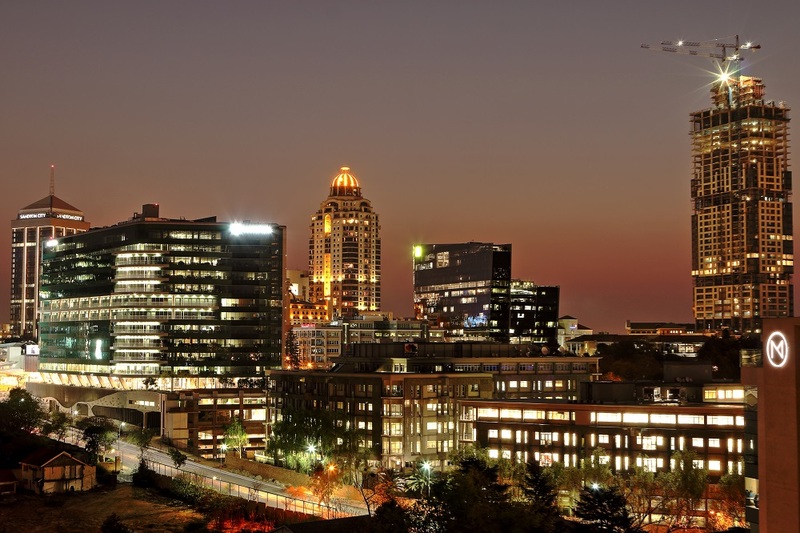 Well, if you want endless entertainment and activities this festive season, the grandest place to be is Sandton Central… South Africa’s cultural and financial equivalent of the Big Apple. Dining with a Difference at the Davinci. Davinci. There’s something so appealing about the place. Named after one of the greatest men in history, Leonardo Davinci – a polymath – it’s a prestigious place to be seen at. And now there’s plenty of reason to visit. 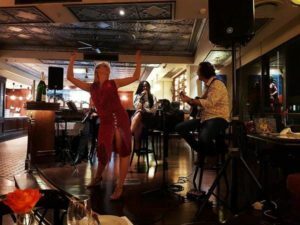 During this month until 28 December, it features fabulous live entertainment every Friday from 19:00 – 21:00 at the Maximillien Restaurant. It’s the place you can some of the world’s finest cigars, whiskies, and wines. You can also partake in fantastic Christmas Lunches there up till and including Christmas Day. Renowned as the hotel where business most certainly meets pleasure, The Maslow is a legendary establishment among the business class. It features premier 4-star accommodation for business men and women on the move. And every Saturday until 15 December, you can enjoy high culture with a fabulous selection of teas, including our own signature tea. You’ll be able to enjoy puff pastries, petit fours, profiteroles, and various other sweet and savoury treats prepared by The Maslow’s master pastry chef. This is a simply splendid way to spend a leisurely afternoon. How do you like your gin? We enjoy it the classic James Bond way (from the novels, not the movies)… a gin martini, stirred, not shaken. With a single olive, it is a delectable sipping drink. But there are many ways to enjoy gin. 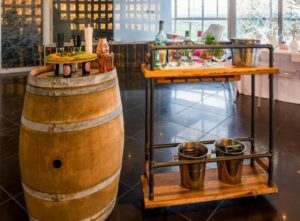 And some of the best gins in the country can be enjoyed at Radisson Blu – that’s because they’re small batch, hand-crafted gin, each one lovingly distilled to chill out your early evening. Relish it on the pool deck Monday to Thursday from 17:00 to 19:00 at only R60 per person. 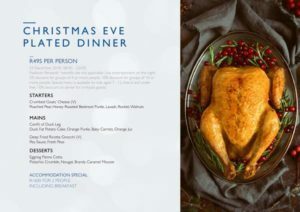 On the eve of Christmas, instead of worrying about the chaos of the kitchen in preparing the meal for the family, why not you and your spouse instead take the kids to the Radisson for an exquisite three-course plated meal, at R495 per person, with a special menu for children 7 – 12 years old. Best of all, kids aged 6 and under get to eat free! There will be live music also on the night, making it a spectacular occasion for the family. Contact Etienne on 011 245 8000 to reserve your family’s spot. 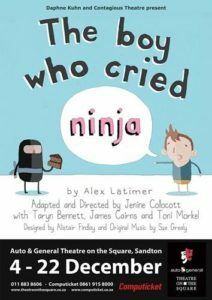 A delightful live performance based on the book, it tells the story of a young boy who blames a ninja for eating the cake. Of course, no one believes him, and he ends up being punished. In fact, every incident involves him blaming something outlandish for whatever goes wrong, like a time-travelling monkey and a sunburnt alligator. The only problem is: it’s all true! How does he get out of this cosmic cruel joke? Find out when you see this children’s play at the Auto & General Theatre on the Square between 4 – 22 December. 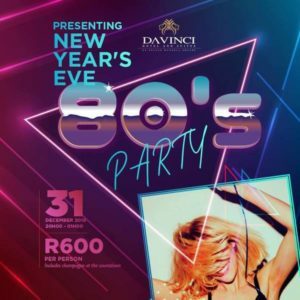 Looking for fun this New Year’s Eve? Why not go in a time machine back to the decade of bad music and cheap synths? Because, like Rick Ashley, we’re never gonna give you up. There’s no Airwolf flying onto a helipad, but there are three tasty courses and the A-Team present will be our waitering staff, who’ll bring out the bubbly for the final coooouuuuuntdown. 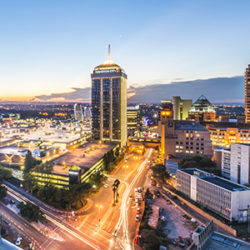 Sandton Central is a vibrant, high energy commercial centre of South Africa and a hub around which business people, residents, shoppers, and tourists live, work, play, shop and meet.